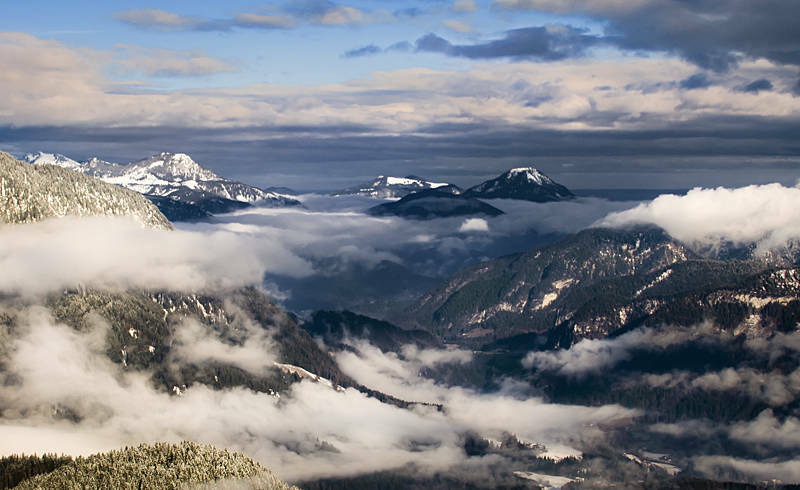 These are the Austrian Alps. It was taken on a family holiday in 2008. I used Camera RAW to do the heavy lifting then once in Photoshop I used masks to selectively adjust the colours in different areas of the image. Terrific edit – makes for a very powerful image.